Welcome to Vanderbilt University! Vanderbilt’s gorgeous 330-acre campus located in Nashville, Tennessee, is a national arboretum and home to a mixture of historic and LEED certified buildings. We are a comprehensive research university, providing innovative programs, state-of-the-art facilities, award winning dining services and a supportive environment for interdisciplinary inquiry. No matter the size or complexity of your event, the one stop shop at the Vanderbilt Office of Conferences has the resources to help you achieve your goals to host a very successful event with us. Please explore all of our services that we have to offer by clicking on the tabs above. 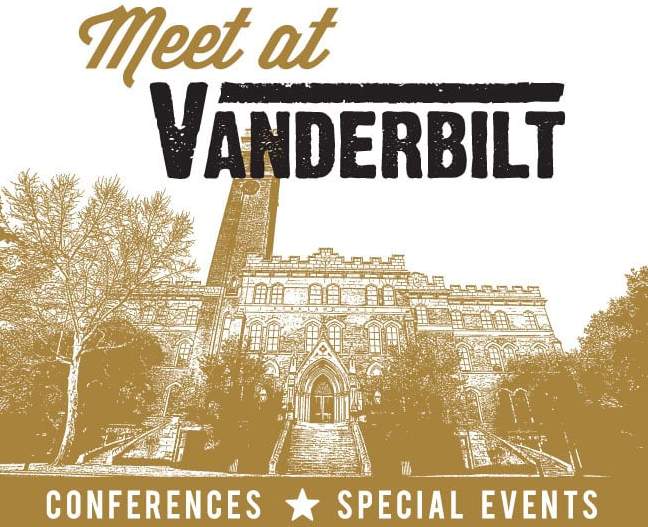 Once you have read through the website and you have more questions, please feel free to call 615-343-0371 or email us at meet@vanderbilt.edu. We look forward to hosting your event!